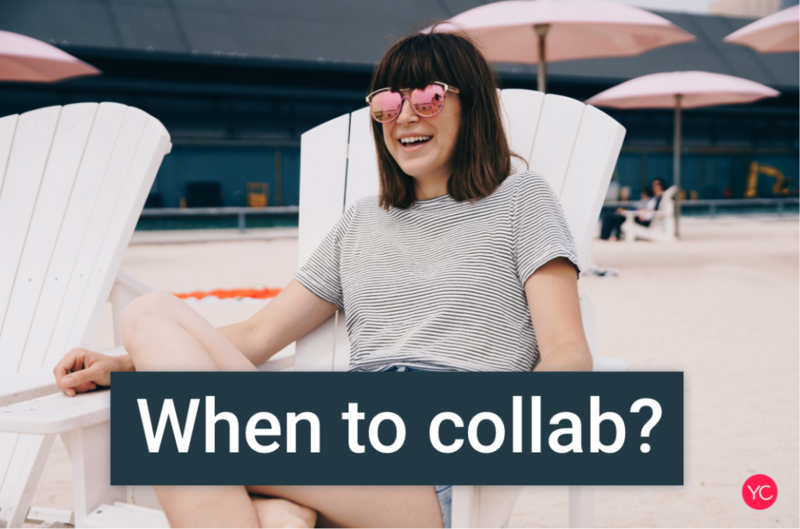 When should YouTube Creators start looking for collaboration? Timing is a critical piece to creating and achieving a successful collaboration video. We’ve had many conversations with numerous creators about the best time to start collaborations based on their feedback. First, let’s clarify what type of Creators should even be doing collaborations. A Creator’s first priority when starting a YouTube channel is to develop an audience and understand what type of content they’ll be creating. Creators that have developed a sustainable audience now have a clear understanding of the specific types of content they’ll be generating for the long-term. After identifying these questions a Creator should begin to start looking for other Creators to collaborate with. This may seem like a low or a high subscriber count depending on your perspective. Nonetheless, we believe creators above 1,000 subscribers will get the largest benefit out of collaborating with each other. 1. In our opinion, having more than 1,000 subscribers that prove that your channel has achieved more viewers than just family and friends. Meaning you’ve put the necessary work and effort into proving that you build an audience. 2. Another reason we’ve come up with having more than 1,000 subscribers minimum is it adds a basic level of credibility to your channel. We understand that obviously there are exceptions to channels with less than 1,000 subscribers that have great content and Creators that have put in a lot of work. We believe if you have great content and you haven’t hit 1,000 subscribers, it’s just a matter of time until you hit that milestone! When you have 1,000 subscribers you have usually defined your audience and are looking for the best ways to organically grow your audience. 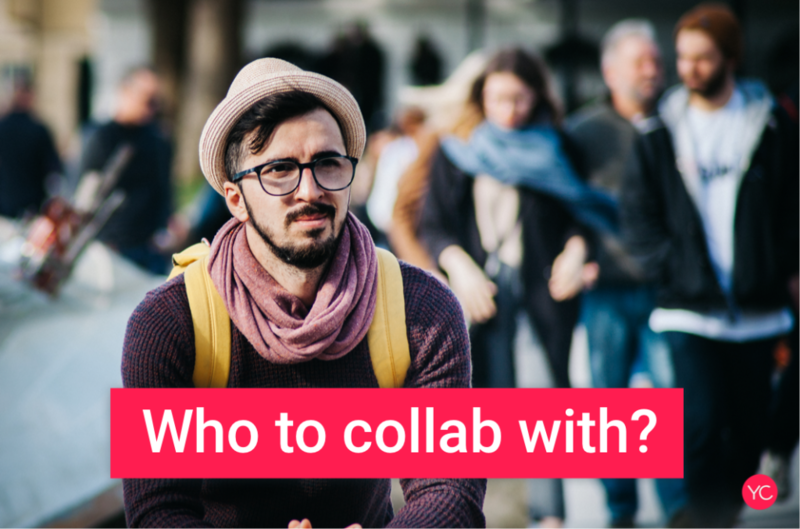 At this time collaborations is the perfect method for channel growth. What type of creators shouldn’t you do collaborations with? If you begin doing collaborations too early in your career it could actually cause harm and confusion to your audience. Your audience in the early stage is trying to “figure out who you are”. They are making quick decisions if they want to watch your content or not. If they do they will probably subscribe. If they don’t they will move it. They’re analyzing your content to see if this is something they like and will get value from. You want to have a clear brand/theme for you channel so it’s clear to your audience on what type of content you make. Your audience is new and fragile. They need and want to get to you know you better before you begin doing collaborations. 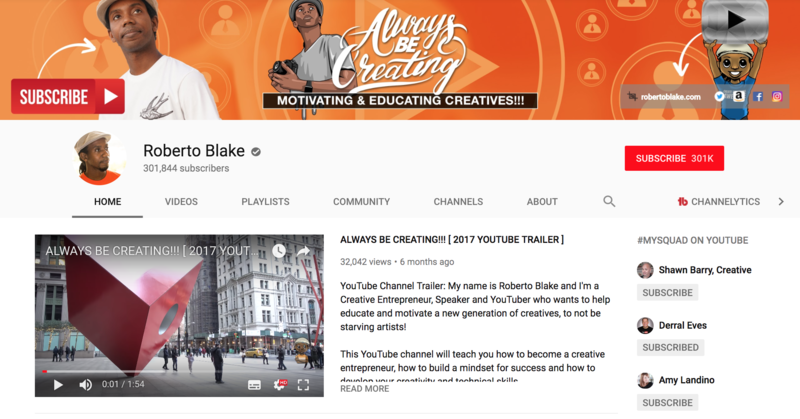 Here is an example of a well branded YouTube Channel (Roberto Blake)that it’s very clear about what type of content is created on his channel. You need to define what type of content you are creating before you start working with other creators. Meaning that if you start uploading content that covers a wide range of categories it can confuse your audience as well as other creators that you want to collaborate with in the future. As a small channel, you really need to focus on doing two things really well: creating good content and defining your audience. When doing these two things it ensures that you can make this type of content for the long-term which is the key to succeeding as a Creator. You need to remember early on that the audience likely doesn’t know you that well. Especially, if you have only posted a handful of videos. You need to build trust with your audience for them to consistently come back to your channel. This is done mostly by experimenting and tweaking your content to what your audience likes. If you have less than 1,000 subscribers you should be focusing on the quality of your videos and the content you’re creating. You shouldn’t be on the hunt to collaborate with another creator yet. Again, if you have high-quality videos and great content you will inevitably hit 1,000 subscribers and you will realize that defining your audience was a more important priority than growing at the time. Your channel is the bucket and your audience is water. You want to make sure the bucket is strong and stable with a small amount of water before trying to fill it with more water. If your buck has a leaking and you try to add water it will all just spill out. You want to fix all the leaks int the bucket before adding more water. Before adding a lot of water quickly and you want to ensure you can handle all in the best way possible. With that analogy, you want to ensure you’re making content people enjoy and are coming back to watch. If you start collaborating with Creators too early you will end up confusing your audience. 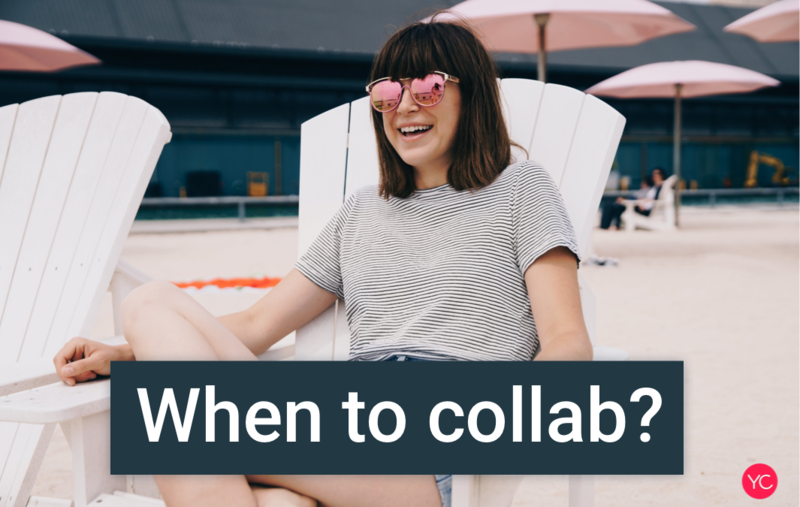 Creators frequently ask: How often should I do collaboration videos? This is a question that doesn’t have a clear answer and is truly different for every Creator. Not every one of your videos should be a collaboration video with another creator. People should be watching your videos should be because of you, not another creator that was in the video. 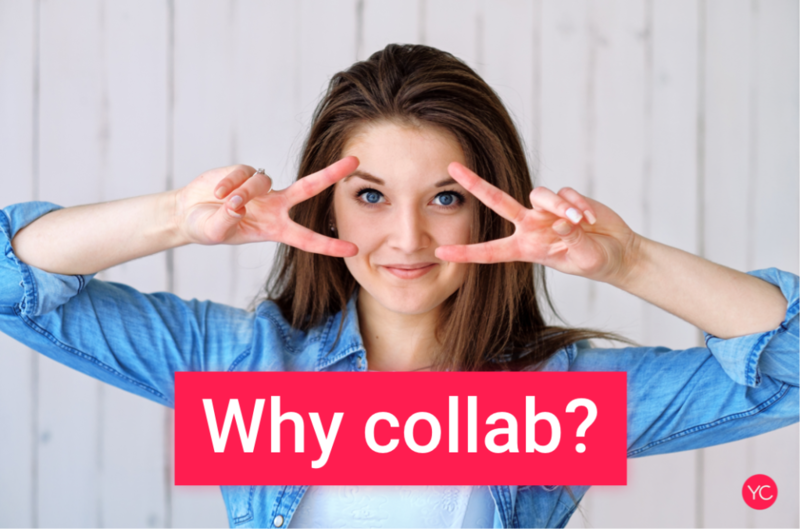 We believe that it’s great for a Creator to do a lot of collaborations videos and with platforms like YouCollab the number of collaborations being created will increase over time. 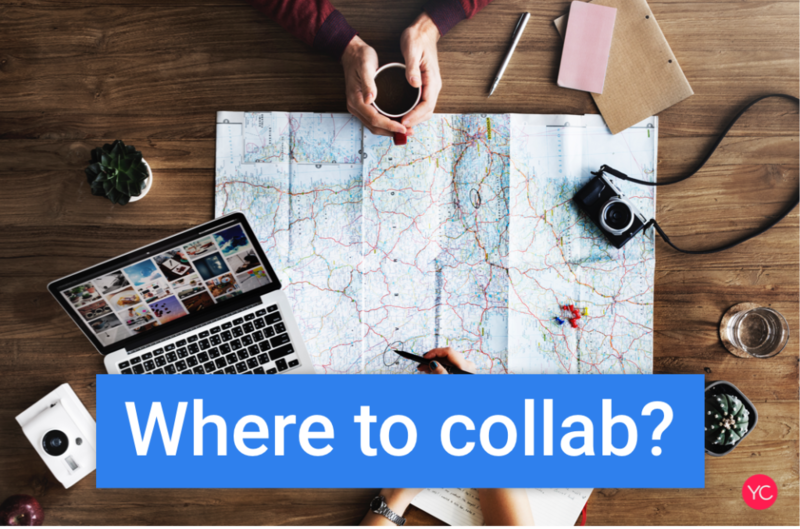 Many creators know the benefits of collaboration but it’s extremely difficult to find creators to do them with. Overall collaboration is great for channels that have over 1,000 subscribers and not ideal for channels under 1,000 subscribers. Don’t take it personally if you are under 1,000 subscribers. Everyone single YouTube channel start with 0 subscribers. Even people like NigaHiga with 20 million subscribers started at some point with 0 subscribers. 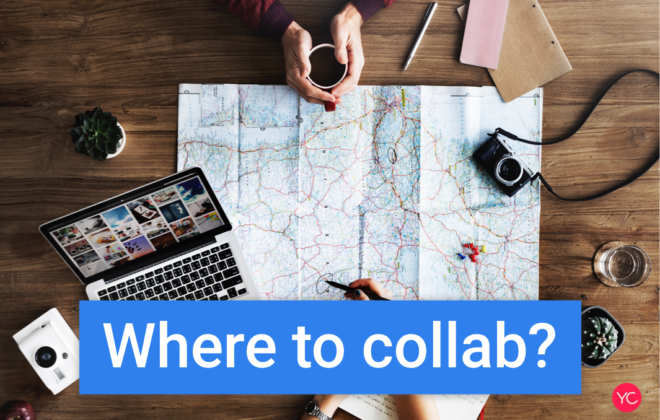 If you have over 1,000 subscribers starting finding YouTubers to work with and begin to plan the best collaboration ideas that you would like to work on with a fellow YouTuber through YouCollab.